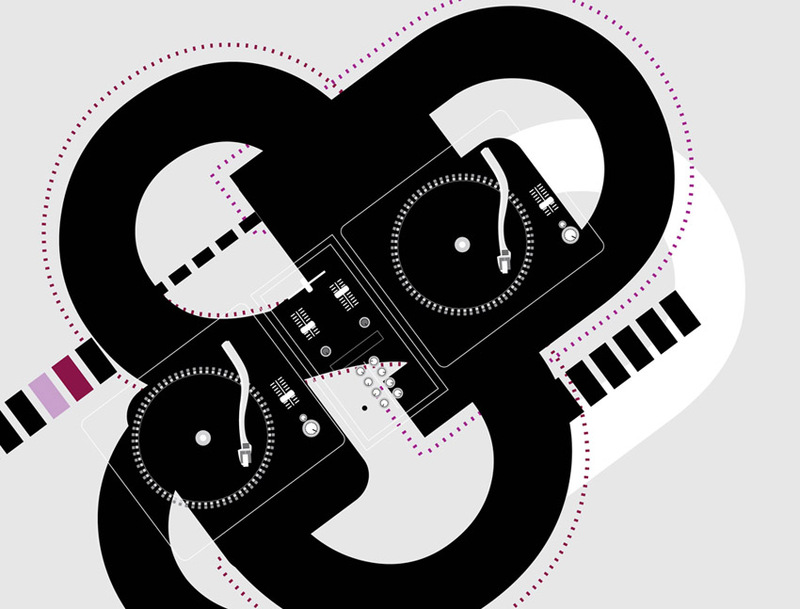 Abstract graphic design of a turntable set. Cool music vector, arty digital design composition of a turntable set, including record players and DJ mixer. Template flyer for your house, electro or techno party. Attribution, non-commercial.